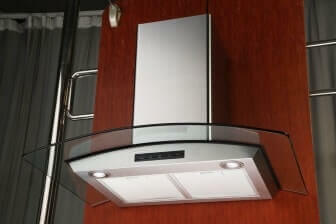 This AKDY European Wall Mount Stainless Steel Range Hood Vent is the perfect combination of style and functionality. In addition to its impeccable style, this hood vent is also a good bargain for your money. It features state of the art touch screen controls and two LED lights for extra illumination. 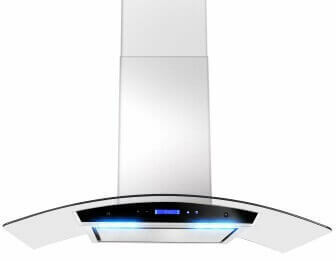 This range vent hood has a telescopic chimney that fits ceilings at a height of 8 to 8 ½ feet and maintenance is easy with high quality stainless steel baffle filters. The unit itself is made with 23 gauge stainless steel of the highest quality. It has a six-inch ventilation pipe, more than large enough to keep air clean, cool and clear in your home. The installation guide is written for several models, all of which are similar to this model, which can make it very confusing for some people. The sections that caused most people trouble are the operation and set-up. It will also be difficult for just one person to install, as it tips the scales at 45 pounds. 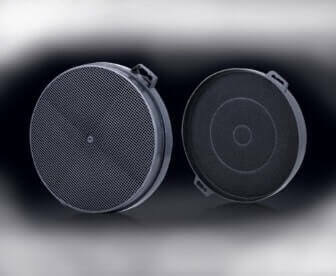 Also, if you want this unit to have the ability to operate in ductless mode, you will have to purchase additional carbon filters. Like many of these units, the drywall anchors can be weak and extra support may be needed for stability. If it is the first time that you're installing a Range Hood, you may be interested in reading out the following guides on our site: The Complete Range Hood Installation Guide and Our Range Hood FAQ's. 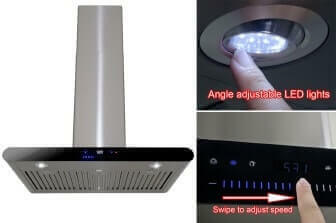 This AKDY European Wall Mount Stainless Steel Range Hood Vent is a good buy for the money and it runs very quietly when compared to other hood vents on the market today. It is also as stylish as it is functional and it comes with a 3-year warranty, so you can rest assured it is made to last. But since this is quite an investment for your home, you'll want to do some research and find out what the experiences of others is who have purchased this unit. You should make sure that you read customer reviews before you buy.